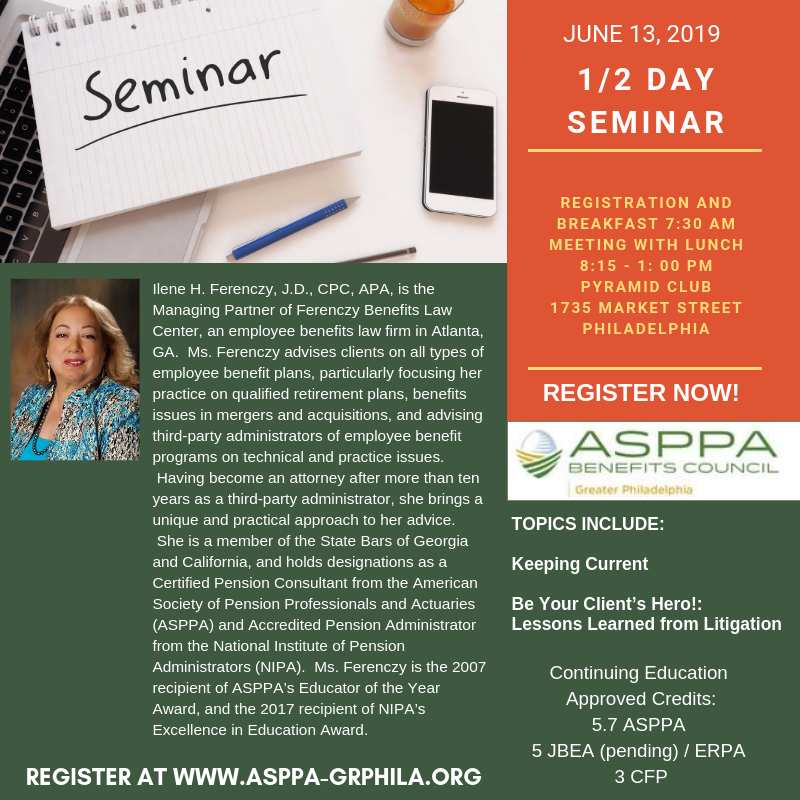 This in-depth session provides information about the changes to the laws relating to retirement plans, including new and proposed legislation, actions by regulatory agencies (i.e., IRS, the DOL, the Pension Benefit Guaranty Corporation, and the Social Security Administration), and ERISA-related litigation. The information is specifically tailored to the various kinds of technical issues addressed on a daily basis by the attendees, and is a "real-world," advisor-focused view of the regulatory landscape in real time. One of the lessons that has been learned from case law is how often plan sponsors – even large employers – are ignorant of the duties they owe to the retirement plans they sponsor. Similarly, case law often demonstrates that the activities of attentive service providers can keep the plans and the clients on the right paths. Join Ilene for a discussion of these war stories and how both TPAs and Financial Advisors can put on their superhero capes and come between the plan and disaster. 04 Dec 2014 1st Annual Joint ABC, FPA & PEBA Networking Event at Xfinity Live!